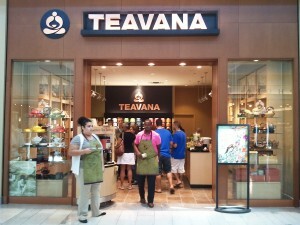 Teavana, part Tea Bar, part Tea Emporium, opened it’s doors to the public inside the Staten Island Mall. I stopped by for a visit and was more than pleased with the variety and the decor of this new gem. 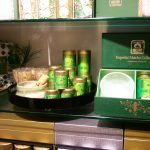 The delicious aroma of the store creates a perfect atmosphere for tasting the rich and flavorful tea that grabs your attention from the first sip. 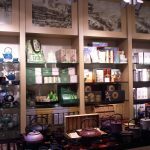 The staff is friendly and knowledgeable, they will even teach you how to brew a proper cup of tea while explaining the beneficial qualities of a certain type. 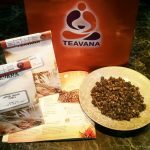 It is no wonder that British consider teatime as a fashionable social ritual and a part of a healthy lifestyle. I only wish tea rooms were more popular here, where you could meet for a nice afternoon tea with the girlfriends. 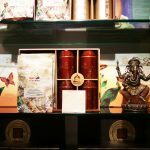 After tasting and smelling just about every tea in the store, I’ve settled on the Jasmine Dragon Pearls green tea, it is – divine. 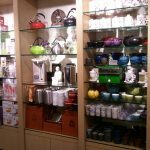 If you are shopping at the mall, I strongly suggest making a stop at Teavana, I’m sure you won’t leave empty-handed. It also makes for a great gift.